Le N° 8-2019 est en chantier. Appel à propositions n°8 à venir. We look forward to a continuing stream of international discussion papers that focus on educational contexts and issues through ethnography and ethnographic methods including empirical fieldwork as well as methodological papers focusing on research activity. The conference will be held again at New College Oxford. New College was founded in 1379 by William of Wykeham, and is located on a historic site in the centre of the city. We always have a large representation from outside the UK – over 50% – and we hope this will continue. As many of you know, we publish a journal, Ethnography and Education, for which papers from the Oxford Ethnography Conference provide a rich resource. * A year’s subscription to the Ethnography and Education Journal. * A free book from the Ethnography and Education Book Series. We aim to create a positive and collegiate atmosphere, and there will be ample opportunity for people to meet, talk and socialize. As previously, all papers will be circulated before the conference, via the conference website, to enable 40 minute sessions to be developed almost entirely to a discussion of the research findings, methods and wider issues attached to each paper. We hope delegates will actively participate with the conference and encourage all delegates to chair at least one session of their choosing (decided on a first come first served basis once a draft timetable has been set). We encourage you to invite ethnographers from the fringes of education who you feel would welcome such an opportunity. The number of papers will be limited in order to maintain a high degree of interaction in the sessions. Consequently, abstracts should provide clear evidence of a contribution to knowledge of the education sphere and details of ethnographic methodology. Electronic abstracts of between 300-500 words should be submitted on the template attached to the bottom of this email to Lisa Russell (l.russell@hud.ac.uk) by Monday 11th March 2019 and authors will be notified of paper acceptance by Friday 30th March 2019. The abstract should include details of ethnographic methodology and research aims and findings contribution if a substantive paper. Methodological papers are welcomed. Full papers of up to 7000 words are to be submitted by Friday 9th August. Registration for the conference will close on 22nd August 2019. Registration for the conference and a copy of the full paper are due by Aug 14th 2018. Booking will open in April after delegates have had their abstracts approved. Conference and accommodation booking will be available online. Accommodation costs will be advertised online when booking opens. To submit an abstract for the Oxford Ethnography and Education Conference 2019 please fill out the conference abstract template below. The I Forum on Ethnographic Investigations with Children and Youth will be the first event organized by RIENN [International Network of Ethnographic Research with Children and Youth] outside of Latin America. The Call for Papers is attached (documents in English, Spanish, and Portuguese). developments within ethnography in educational science and its political role anew. institutional and professional cooperation (e.g. transitions, education landscapes, child protection)? considering the new contouring of the public and the private including ‘new attentions for the family’? scheduled as well as 20 minutes for discussion. Abstracts may be up to 500 words long. workshops 120 minutes are scheduled. Abstracts may be up to 800 words long. parallel events will always be conducted in English. 15th, 2019. The outcome of the selection will be communicated by March 15th, 2019. For questions and additional information contact: ethno@paedagogik.uni-halle.de. ISIRC is the world’s leading interdisciplinary social innovation research conference. The conference brings together scholars from across the globe to discuss social innovation from a variety of perspectives. ISIRC 2019 will be hosted by The Yunus Centre for Social Business and Health, Glasgow Caledonian University from Monday 2nd to Wednesday 4th September 2019. The conference will take place at 200SVS, in the heart of Glasgow City Centre. We are pleased to announce some of the keynote speakers for ISIRC 2019: Helen Haugh, Jürgen Howaldt, Frank Moulaert, Alex Nicholls and Stephen Osborne. Writing is fundamental to the ethnographer. It plays a major role through: the collection and development of fieldnotes; reflective and reflexive memos and diaries; the re-presentation of contexts for readers and it creates analytical contributions for knowledge via dissemination. However, the uses, purposes and practices of writing are imbued with problematic aspects concerning: philosophy – modes of interpretation; writer values and perspectives; epistemology – validity of analysis and representation; the role of the self as a research instrument and the researcher’s relationships to the context and the people within them. A further complication is the question of how ‘writing’ is defined – whether drawings, pictures and multi-modal re-presentations can be considered as constituting ethnographic writing. This series collates eleven articles that have been gathered from across The Ethnography and Education global network bringing together ethnographers’ experiences and reflective practices regarding the nature of ethnographic writing and how we do it. The articles are divided into three sections: Writing and fieldnotes (Hammersley , Delamont and Borgnakke); Fieldwork writing practices, (Thomson, Wieland and Jeffrey); and Researcher relationships with responders and researcher colleagues (Milstein, Clemente and Guerrero, Russell, Parker Webster and Raggl. 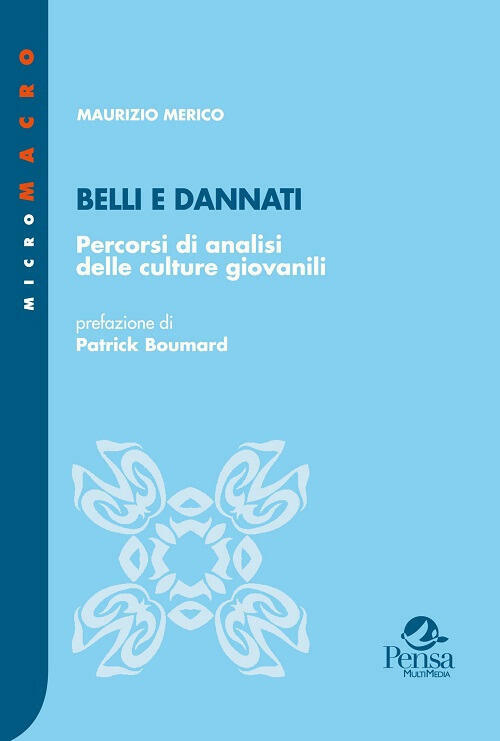 Each section contains new and possibly controversial perspectives concerning writing and ethnography and it is hoped readers will find something useful, as well as issues which they would wish to debate with colleagues. 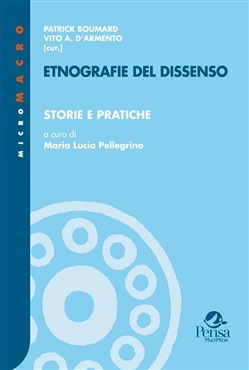 The book is thus relevant to anyone engaged in Ethnography in any discipline because the articles deal with many common issues and practices including: engagement with members of the research site; ethical issues of ethnographic writing; ethnographer self-awareness; performative writing; new materialist approaches and the role of ethnographic writing. The collection also includes a comprehensive literature review evaluating the past and current thinking regarding ethnography and writing. ethnographiques.org, revue en ligne de sciences humaines et sociales, a le plaisir de vous annoncer la parution de son trente-sixième numéro, intitulé « Jouer avec les animaux », coordonné par Sophie Chevalier et Thierry Wendling. Bénéficiant d’un site entièrement rénové afin de le rendre facilement accessible depuis tous vos appareils connectés (ordinateurs, tablettes, téléphones mobiles), ce nouveau numéro thématique explore différentes formes de jeux associant humains et (autres) animaux. Chiens, renards, taureaux, vaches, chevaux, chèvres, bêtes sauvages, animaux de parcs zoologiques, et même insectes et poissons, se trouvent ici considérés comme les partenaires nécessaires d’actions ludiques qui concernent aussi bien l’intimité ordinaire (lancer une balle à son chien) que l’attraction spectaculaire (le rodéo américain ou la course hippique). Les terrains vont de l’Amérique du Nord (Frédéric Saumade) à l’Asie centrale (Carole Ferret, Sandrine Ruhlmann) en passant par les Philippines (Antoine Laugrand), l’Afrique du Sud (Sophie Chevalier) et l’Europe (Christiane Dunoyer, Bastien Picard) ; deux approches historiques étendent la comparaison à l’Antiquité (Michaël Seigle) et au haut Moyen Âge (Fabrice Guizard) et un article introductif (Thierry Wendling) livre un panorama général. Ce riche dossier contribue ainsi à nourrir la réflexion anthropologique contemporaine sur les interactions, relations et représentations que les êtres humains développent avec les animaux. Le numéro propose également deux articles en varia, l’un sur la pratique de la médecine ayurvéda en France (Nicolas Commune) et l’autre sur la construction d’une identité occitane en Italie (Silvia Chiarini). Copyright © 2019 Revue Internationale d'Ethnographie. All Rights Reserved. The Magazine Basic Theme by bavotasan.com.